Our company offers an extensive array ofRoundist Dopby making use of high-grade basic material and components. These precision-engineered products ensure long service life and efficient cutting & polishing of rough diamonds. 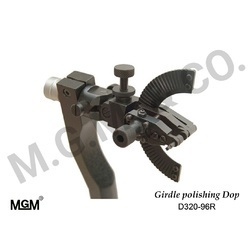 The offered range ofRoundist Dopshave attractive feature such as 96 division/click, double facet screw for top/bottom and left/right move, unique dop for quick and accurate proportion of the facets. These products are available in different sizes and specifications as per the customers requirement. Looking for ROUNDIST DOP AND GIRDLE POLISHING DOP ?